Nice! Lauren’s sister will probably also be a bridesmaid because they seem very close. I wouldn’t be surprised if Arie’s sister is asked too. There wasn't a source link as to where this came from and I couldn't find "Patience Robinson". He’ll be there for them. Chris Harrison expects to attend Arie Luyendyk Jr.’s upcoming wedding to Lauren Burnham, but if he doesn’t receive an invite, he has a backup plan in mind. Wedding invites are being sent out this week! @TheLurker those are beautiful invites! Is that a real stamp with their initials on it?? @GuardianAngel When I zoom in closely, the company that helped to make their invites also made those stamps, so yep, they're custom! Minted made the custom invites. They are stunning! @TheLurker thanks. I had no idea custom stamps were possible. Very cool! @GuardianAngel they have been around for quite awhile. I designed custom stamps for my DD and DSIL years ago for their wedding. You can do them through Zazzle. Lots of fun. I just checked Canada Post's site and you can create your own stamps. I had no idea! @Kashathediva Learn something new everyday! Wow! This is really happening. I hope we get a video of the wedding and reception. I really would love to see what she wears for both occasions. The next big adventure for the couple is their upcoming wedding in Maui in January 2019. Luyendyk and Burnham decided to keep the guest list to 120 people and they will exchange vows at the Haiku Mill adjacent to the famed Road to Hana. The vine-draped venue boasts courtyards, water features and old-world European charm with tropical elegance, and the couple chose a unique, collaborative approach for wedding planning. 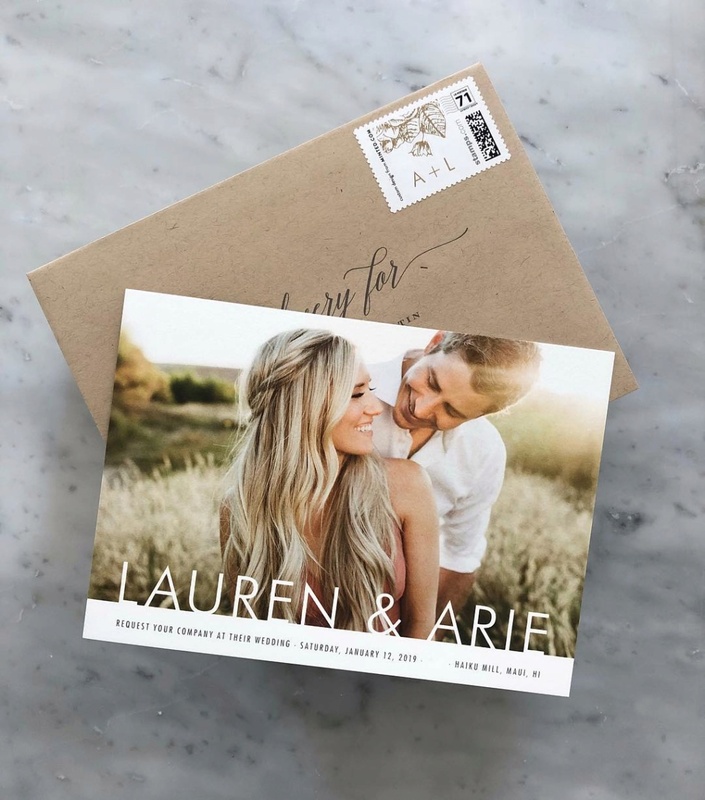 Along with the couple’s input on the wedding, Luyendyk’s manager, Klint Briney has been a monumental help in planning the event with the expertise of Haiku Mill’s wedding planner. “We haven’t been to Maui either, and we’re going to leave it as a surprise, so we won’t actually see the venue until the week of the wedding,” Luyendyk adds. Hawaii will also be the couple’s honeymoon locale.